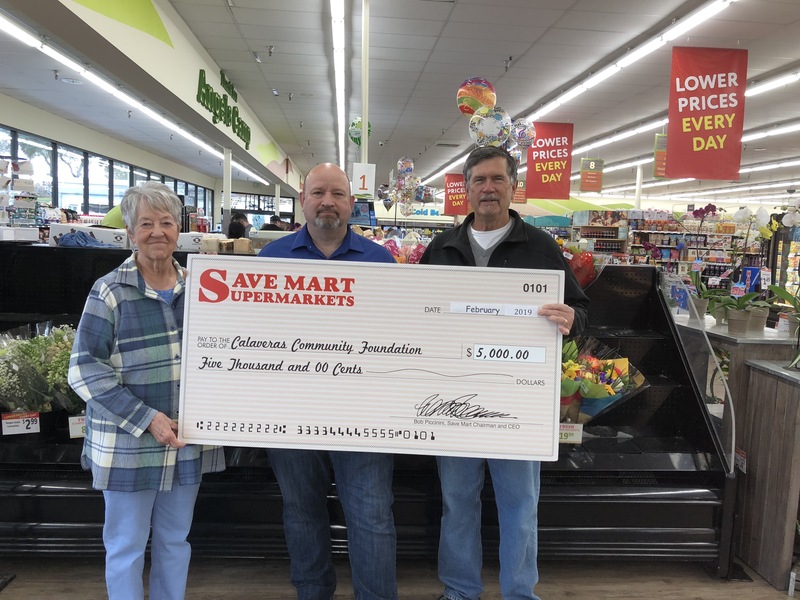 Thanks to over 40 community businesses and hundreds of individual donors, the Calaveras Community Foundation, since its inception in 2000, has dispersed well over a $2,300,000 dollars to a variety of causes through competitive grants, scholarships and assistance. Please support the Foundation’s Supporting Businesses below. In recent years, we have also received significant support from two major Bay Area community foundations. The Silicon Valley Community Foundation and the San Francisco Foundation have clients who have directed donations to the CCF through their donor advised funds. Your gift to the Foundation can have significant tax advantages. Click here to find out more! The Sierra Health Foundation has awarded a $15,000 Responsive Grant to the Calaveras Community Foundation to improve the oral health of homebound senior citizens by providing preventative and restorative direct mobile dental services in Calaveras County. Sierra Health Foundation is a private philanthropy with a mission to invest in and serve as a catalyst for ideas, partnerships and programs that improve health and quality of life in 26 counties in Northern California. Since 1985, SHF has awarded over $87 million in cash grants to 938 nonprofit organizations. Seniors wanting to contact Ms. Perry about scheduling an appointment can call her at 209-608-0335. (See full press release under News and Events). The Calaveras Community Foundation (CCF) received a donation of $3,500 from the Black Oak Casino Resort. This 2014 contribution continues a mutually satisfying and beneficial partnership between Black Oak Casino Resort and the Foundation. Calaveras Community Foundation (CCF) has received a generous $5000 donation from Save Mart Companies C.A.R.E.S. Foundation. This donation benefits the Career and Technical Training (C&TT) Scholarship Fund. This marks the ninth year in a row that the C.A.R.E.S. Foundation has supported this scholarship program for local high school students. Founded in 2011, the C&TT scholarship fund is administered by CCF, and supports the belief that high school graduates must have options in pursuing training/further education aside from the traditional four-year college. Many job opportunities exist in our local region for youth seeking associate degrees/certificates that can lead to technical or vocational career paths. Since the inception of this fund, 64 local students have received monetary awards with total dollar amounts over $79,000. Scholarships awarded in 2018 benefited ten high school students from Bret Harte, Mountain Oaks and Calaveras High Schools. Each recipient received $1500. Anticipated fields of study for these students include: nursing, EMT/paramedic, fire science, welding, diesel mechanics, auto technology and cosmetology. (See the full press release under News & Events). 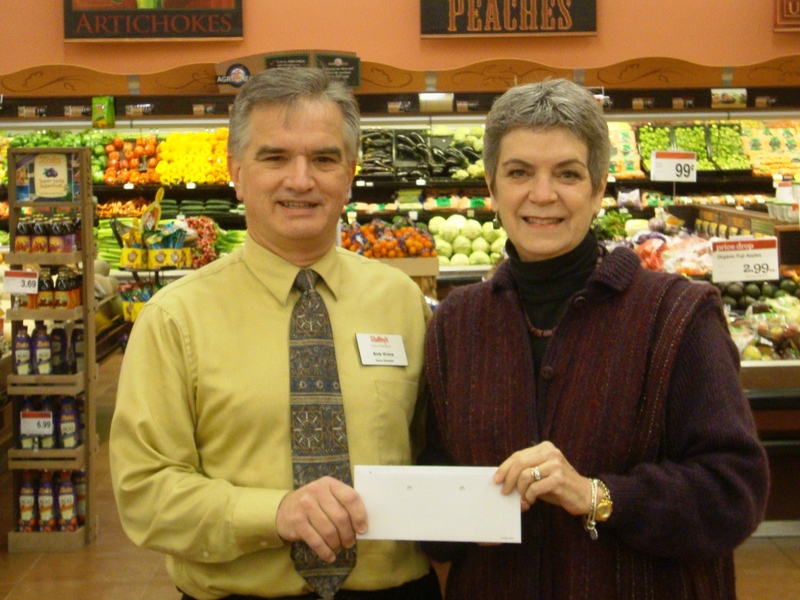 Bob Kims, Store Director, Raley’s Jackson Store and Linda Kangeter, President Calaveras Community Foundation. El Dorado Savings Bank has recently donated $1,000 to the Calaveras Community Foundation (CCF). 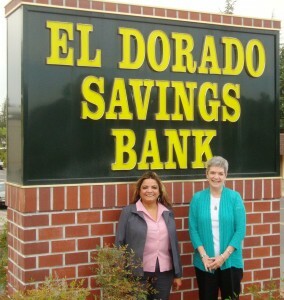 This is the continuation of a beneficial partnership between El Dorado Savings and the Foundation. 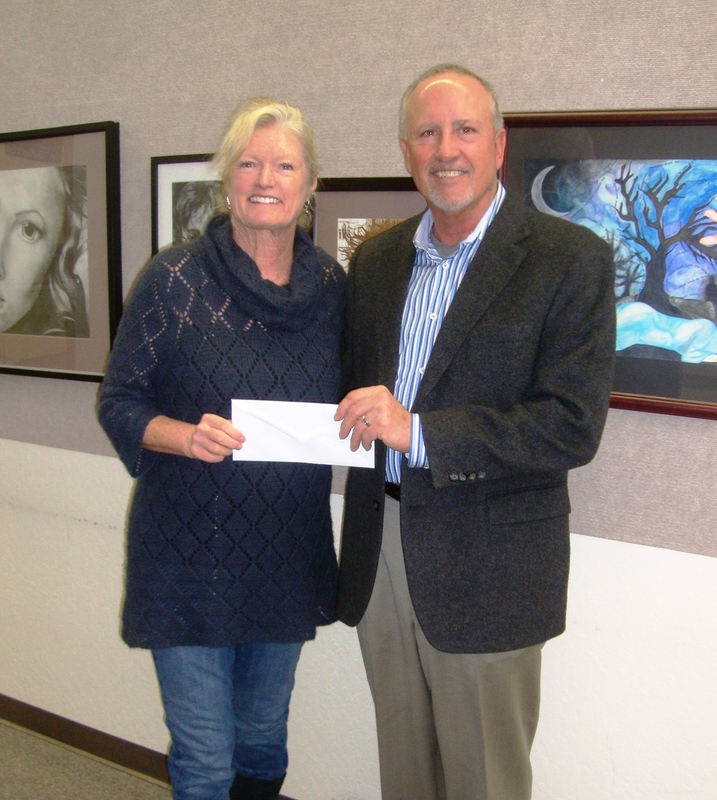 A wide range of non-profit organizations and worthy causes in the Calaveras Community will be supported by this donation. The San Andreas El Dorado Savings Branch office maintains a focused commitment to support the local community in our county. Pacific Gas and Electric Company (PG&E) recently presented Calaveras Community Foundation (CCF) with a generous $5000 donation to benefit The Career and Technical Training (C&TT) Scholarship Fund. 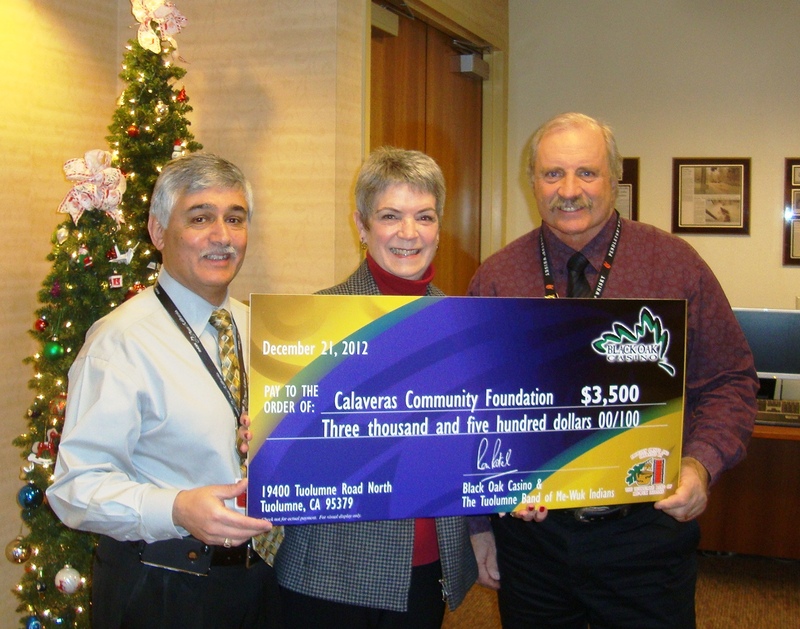 The Jackson Rancheria Band of Miwuk Indians recently donated $10,000 to the Calaveras Community Foundation. The Jackson Rancheria Band of Miwuk Indians in late 2018 donated $10,000 to the Calaveras Community Foundation (CCF). 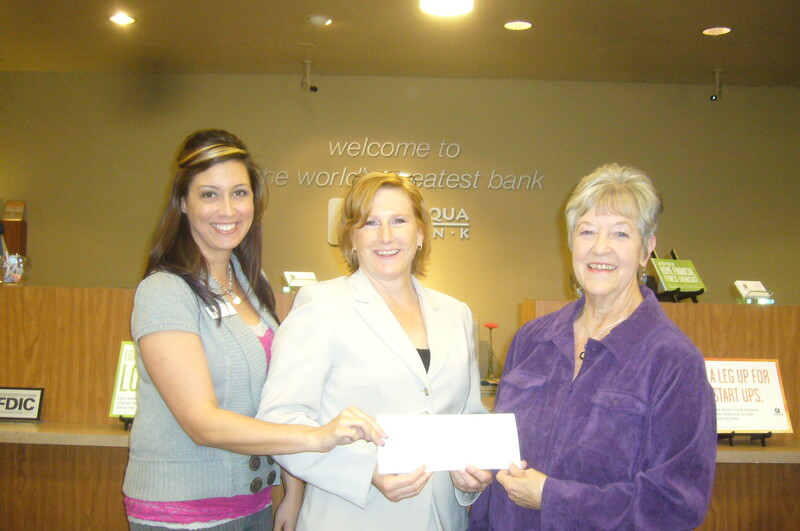 Calaveras Community Foundation (CCF) recently received a $1,250 donation from Umpqua Bank. A loyal supporter of CCF’s causes, this donation brings monies received since 2010 from Umpqua Bank to nearly $6,250. Christy Maynard, Umpqua Bank Angels Camp Store Manager and Board member of CCF along with Diana Scaparro-Cammisa, Umpqua Bank San Andreas Store Manager, state: “Community is at the heart of all we do at Umpqua Bank and we are proud to make a contribution to CCF. We know this will promote wellness and stability in our Calaveras County communities, specifically in regards to youth development, education and the arts.” Umpqua has additional branches in Copperopolis, and Valley Springs. (See full press release under News and Events). 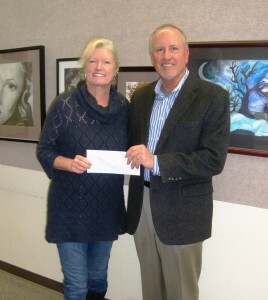 Sierra Pacific Industries Foundation has recently donated $2,500 to the Calaveras Community Foundation. The donation will be utilized for CCF’s various grant and scholarship programs. 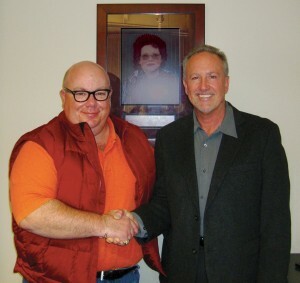 Mark Luster, Community Relations Manager for Sierra Pacific Industries Foundation, states, “At Sierra Pacific Industries (SPI), we understand the importance of proving charitable funds to help the wide range of programs financially supported by the Calaveras Community Foundation. We are proud to be a contributing partner in this ongoing endeavor.” (See full press release under News and Events).